We love to celebrated birthdays. That's probably why we've been celebrating the Mr's birthday since last Friday. We headed out to Mississippi last weekend to celebrate with our families. We kicked it off with dinner at Ole Farm Beef House with my family. It's one of our favorite places to eat in Meridian. If you are ever there for dinner, go! Saturday night we celebrated with the Mr's family at Outback and then headed back to his parent's house for cake and ice cream. We took lunch to him at his office today, and even though he was in a rush we enjoyed visiting with him for a few minutes. And he got a lot of cute smiles from AC. Tonight we will celebrate the Mr's birthday as a family of three, for the first time. We've planned an evening at Long Horn Steakhouse, and AC and I got him his favorite cake and ice cream for dessert. He opened his gift from us Friday night, so he'll just get cards tonight. We are so thankful that God placed him on this earth! I can't imagine my life without him... he is my best friend, my soul mate, the best daddy and the funniest man I know. 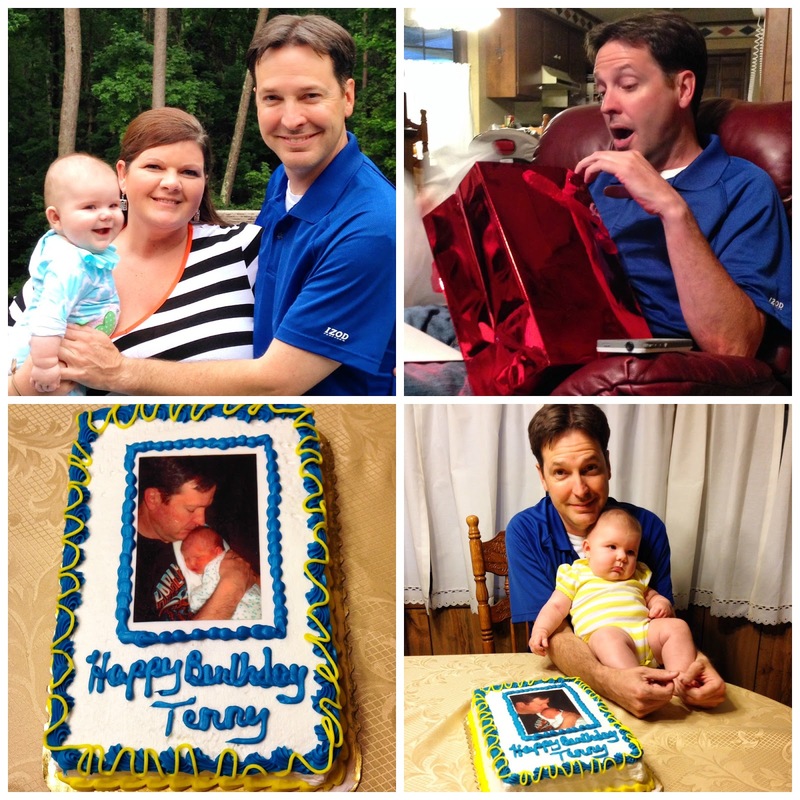 Happy Birthday Terry!! That cake looks yummy! !